EVERETT, Wash. – The Everett Silvertips (@WHLSilvertips), six time U.S. Division champions and defending Western Conference champions of the Western Hockey League, have named Sean Richards, Sahvan Khaira, Jake Christiansen, and Wyatte Wylie as assistant captains for the club, joining current Silvertips captain Connor Dewar and assistant captain Riley Sutter as the Silvertips leadership group for the 2018-19 WHL season. 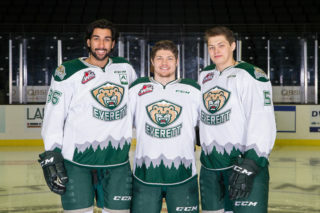 The quartet of Silvertips join Dewar and Sutter to combine for 1,160 career WHL games and 217 career playoff games, all competing in last year’s WHL Championship Series. 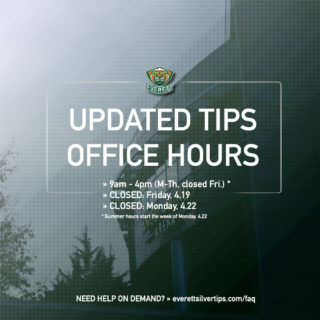 Richards, a late 98-born forward, has begun his third season as a Silvertip forward with a goal in three games and has earned 188 games in the WHL with Everett and Regina, collecting 31 goals and 91 points. Last season, Richards had a career-high 20 goals and 49 points and added four goals and 12 points in 22 postseason games. He has totaled 15 points in 44 career WHL Playoff games. Khaira, 20, has suited up in three games for the Silvertips and has skated in 248 career WHL games with the Silvertips, Swift Current Broncos, and Seattle Thunderbirds, earning 57 points and a +5 rating on the blueline. The 6-foot-4, 225-pound defenseman has competed in NHL camps with the Vancouver Canucks and Edmonton Oilers and last season helped guide Swift Current lift the Ed Chynoweth Cup as WHL champions when he had 26 points (6g-20a) and a +16 rating in 65 games, adding to seven points (2g-5a) in 26 playoff games. The Silvertips acquired Khaira from Swift Current on July 30 in exchange for forward Ethan O’Rourke and a third round selection in the 2020 WHL Draft. Christiansen, 19, has a goal in three games this season after skating with the Calgary Flames in NHL training camp and has 59 points in 195 career WHL games, all as a Silvertip. 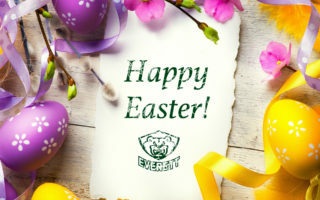 The 6-foot, 190-pound defenseman last season earned a career high 31 points in all 72 games for the Silvertips and posted seven points and a +6 rating in 22 playoff games. He has 9 points in 41 career WHL Playoff games. 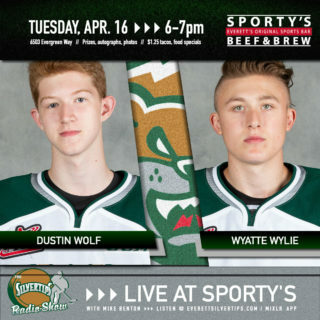 Wylie, a late-99 born defenseman, has three assists in three games this season and in 146 career WHL games, all as a Silvertip, has posted 44 points and a +8 rating. The Everett native was selected by the Philadelphia Flyers in the fifth round (127th round) of the 2018 NHL Draft and last season earned 31 points in all 72 games and 8 points and a +12 rating in 22 WHL Playoff games, missing only one game in his WHL career. 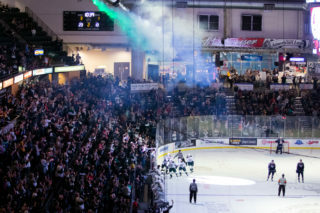 Dewar was named the 16th captain in Silvertips history on May 31 and Sutter was named assistant captain on June 7, both returning players from last season’s club with Richards, Christiansen, and Wylie who helped guide the Silvertips to the Western Conference championship. Dewar, 19, was selected in the third round (92nd overall) by the Minnesota Wild in the 2018 NHL Draft and has 65 goals and 120 points in 214 career WHL games, all with the Silvertips. Sutter, a late 99-born forward, was selected by the Washington Capitals (93rd overall) in the 2018 NHL Draft and has 46 goals and 98 points in 169 career WHL games, also all with the Silvertips. The Silvertips return to play on Saturday, Sept. 29 and visit the Tri-City Americans at 7:05 p.m. (1380 AM / 95.3 FM / Tips App / WHL Live). The next Silvertips home game is Pink The Rink on Friday, Oct. 5 against the visiting Seattle Thunderbirds, 7:35 p.m. in downtown Everett. Tickets are on sale at www.everettsilvertips.com/pinktherink.